The U.S. Army never really liked the M-41 Walker Bulldog. A light tank designed in 1949 and produced between 1951 and 1954 to replace the M-24 Chaffee of World War II fame, the M-41 was too light to handle beefed-up communist armor coming off Soviet assembly lines — namely the T-55. To make matters worse, the Walker Bulldog’s development process was chaotic, the tank was both cramped and uncomfortable and too big to act as an effective reconnaissance vehicle — one of the original design goals — and its 76-millimeter cannon was underpowered. To put it simply, the tank just wasn’t cut out for U.S. government work, and tougher M-551 Sheridans replaced the machines in the 1960s. But what do with the more than 5,000 Walker Bulldogs produced in total? The U.S. government exported them. Tons of them … all over the world. And in a handful of countries, these Korean War-era light tanks are still in service. 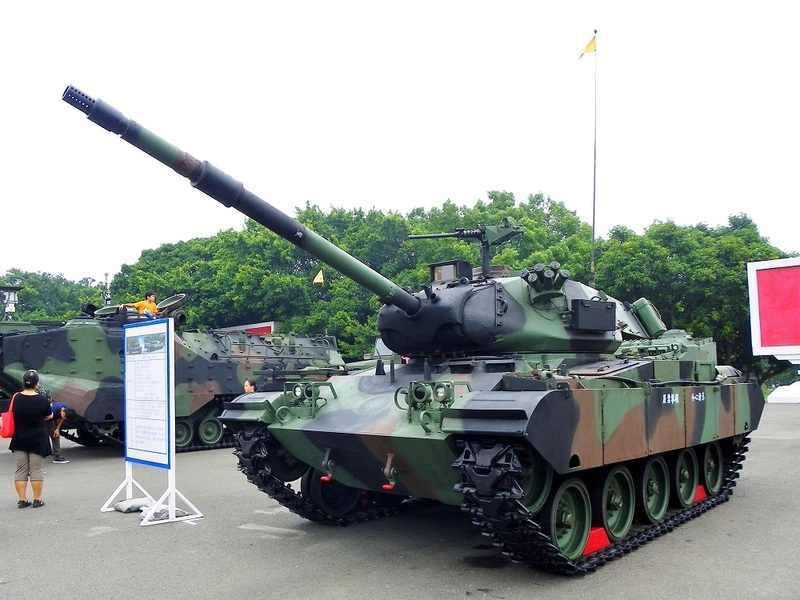 By far the biggest user of operational Walker Bulldogs, Taiwan has 625 of the tanks in service as of 2016, according to the International Institute of Strategic Studies. These are a mix of the Type 64 and M-41D versions modified with several upgrades — the M-41D includes a more powerful engine, a Taiwanese-made gun with thermal sights and a 7.62-millimeter FN MAG machine gun. The Type 64 is a Taiwanese-built Walker Bulldog with an M-60 machine gun — in addition to the main cannon — and heavier armor. The Taiwanese army is heavily armored in general, with 200 M-60 tanks and 365 M-48 Patton tanks in its arsenal, along with hundreds of armed infantry fighting vehicles and more than 1,000 armored personnel carriers. With the Chinese People’s Liberation Army less than 120 miles away and reluctance by other countries to anger China by providing military aid, Taiwan will keep as many of these old beasts in service for as long as it can. A small country with scarcely any outside threats, Uruguray nonetheless punches above its weight in terms of armor — at least in relative terms, not absolute ones. 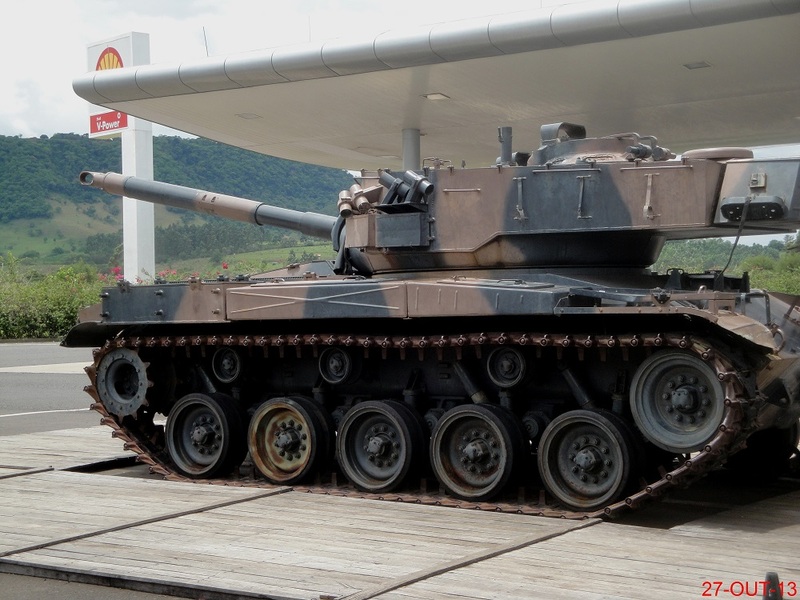 Uruguay has 22 M-41A1 tanks with an upgraded 90-millimeter cannon provided by Belgium in 1980, which replaced Uruguay’s Stuart light tanks — World War II museum pieces. Like the M-41D, the A1 variant also includes an FN MAG machine gun as a secondary weapon. “It’s a tank that has good movement, is easy to drive, and currently this equipment is intended for instruction of the regiment’s crews and how we should act during combat,” Capt. Martin Serres of the Uruguayan 2nd Armored Cavalry Regiment told Dialogo, a magazine published by the Pentagon’s Southern Command, in January 2018. Weirdly, Uruguay has 15 Tiran-5 tanks, which are Israeli modifications of Soviet-made T-54s captured during the Arab-Israeli wars, and World War II-era M-24 Chaffees which the United States donated in 1957. Several years ago, Brazil announced it would transfer some of its out-of-service Walker Bulldogs to Uruguay, but the IISS has not reported their arrival. Believe it or not, the Dominican Republic has a tank force. That is, 12 M-41Bs in total — and that’s after the Caribbean nation retired its handful of French AMX-13 light tanks. As of 2016, Thailand had two dozen M-41GTIs in service, a variant with an upgraded German engine, improved optics and an HK21 machine gun as a secondary weapon. These have periodically made appearances when the Thai army has taken to the streets. Guatemala and Vietnam also purpotedly still have them — the latter captured during the Vietnam War — but IISS does not list them in its 2016 registar. If there are any others still rolling around out there in the world, we’d like to know.